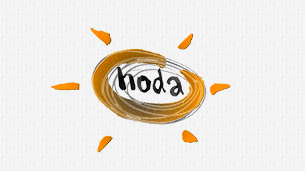 HODA is an innovative, creative, social enterprise that exists to inspire and engage people in creative activity. We work with a pool of vastly experienced, highly skilled artists and tutors to deliver stand alone or collaborative projects, programmes and workshops with national and international partners. HODA has been operational for twelve years and in that time has produced a large number of cross art-from and collaborative projects in music, film, animation, digital art, installation art dance and puppetry. HODA prides itself on its ability to find innovative ways to promote high quality engagement in the arts, bringing flexibility and variety from all creative disciplines to every aspect of our work. We work with diverse groups of mixed abilities to promote social cohesion, self confidence, self awareness and the acquisition of new skills. Bespoke programmes designed for specific client groups of all ages and can be designed to meet specific targets.